← mystery of the bob celeste. 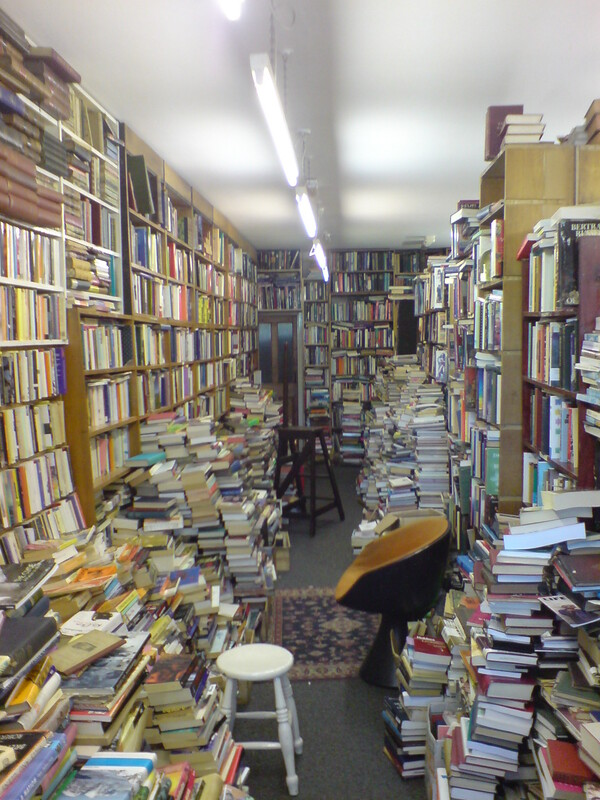 That's what Nathan's school library looks like when I show up every Monday, minus the giant head picture on the wall. Oh..and we don't have area rugs like that. Our area rug is a giant map..way more fun than any oriental rug I've ever encountered. And the stools..we don't have those either. Just a bunch of tables and chairs. And we have computers, lots of computers…Ok..they don't look anything alike. Where did you take those, anyway? 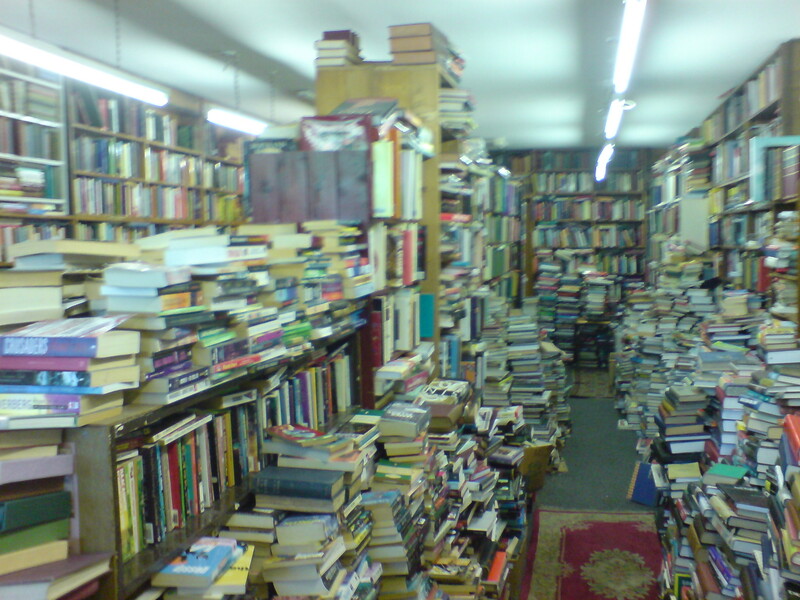 its a second hand bookshop in the west end of glasgow jamie called voltaire and rousseau. its really a bit nerve wracking looking through it all. 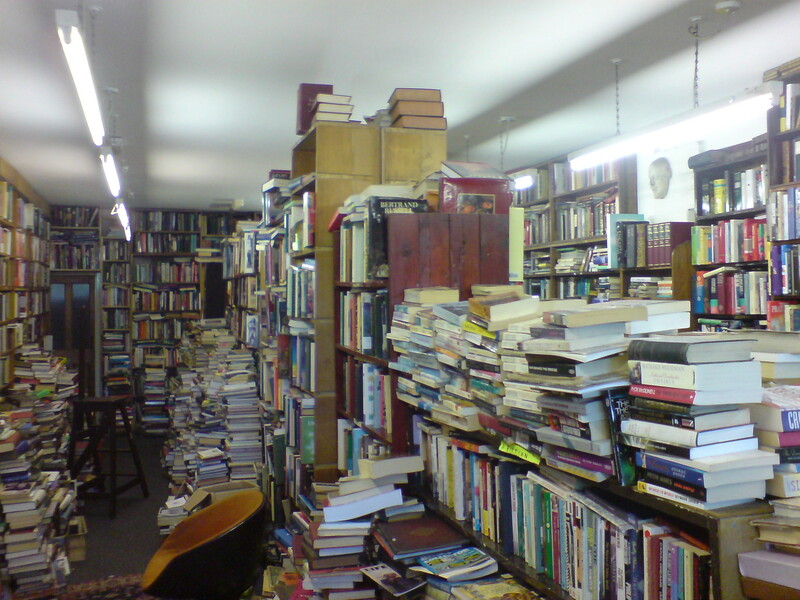 one wrong move can bring down an avalanche of old books. hardbacks. they hurt when they hit you, none of this paperback stuff. just heavy tomes that would fracture skulls. it is owned by two brothers who just collect and collect. a bit like the collier brothers, it all threatens to collapse in on them. you can find some good stuff in there though, some real treasure. Moon on weekend is here!